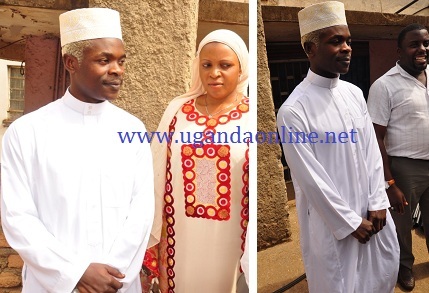 Omulangira Ssuuna (OS*) has converted to Islam from Christianity at the Kiyembe based mosque in Nakasero. It's not clear why Suuna took this move that he could not do while he still dating his girl friend Pherrie Kim who is a moslem. A few months back Jose Chameleone converted to Islam for a few days and even changed his name to Gadaffi but this led to his wife and kids to leave his home to a time when he sorted himself.